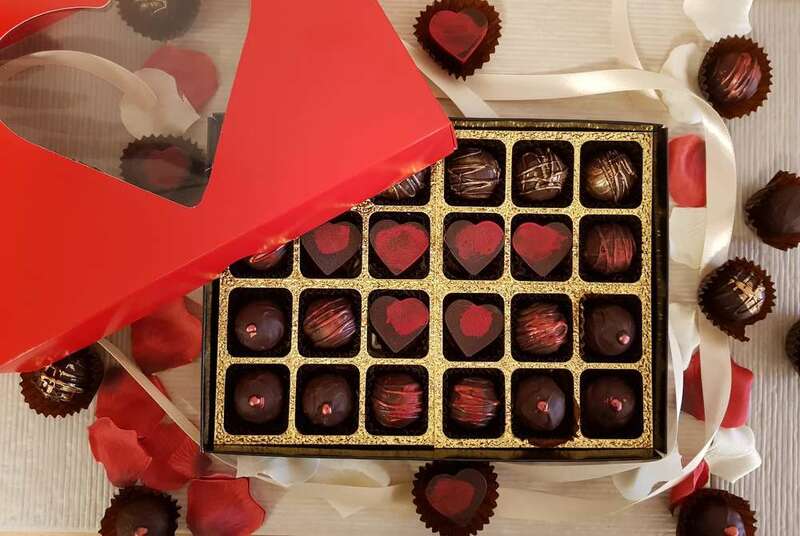 From heavenly chocolate pralines and melt-in-the-mouth caramels and to sumptuous truffles and even edible vegan chocolate massage butter and chocolate handcuffs, you’ll find plenty of romantic vegan treats to spoil your loved ones with this Valentine’s Day. 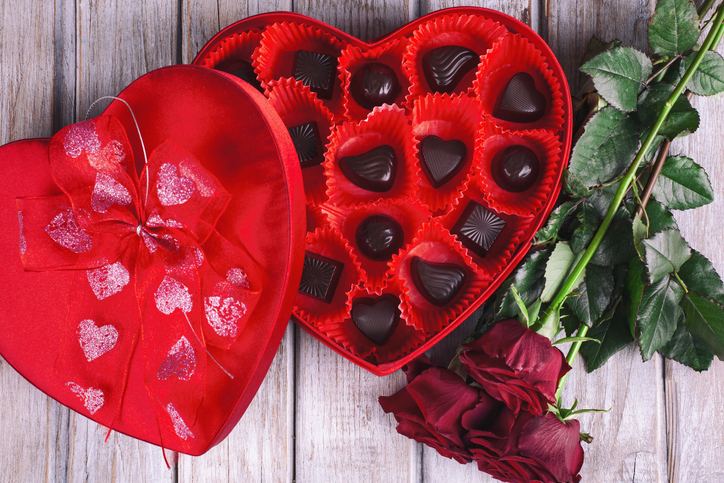 Show your loved ones how much you care this Valentine’s Day with our guide to the most deliciously romantic vegan chocolates and sweets. These deliciously sweet treats are made with a blend of superfoods which are rich in minerals, vitamins and antioxidants. 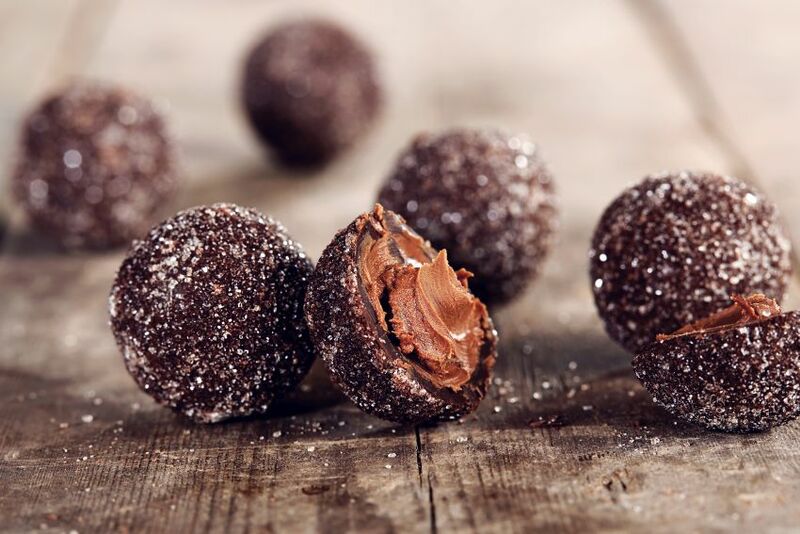 The creamy truffles are packed with Vitamin E and C to reduce Cholesterol and protect cells from oxidation stress. 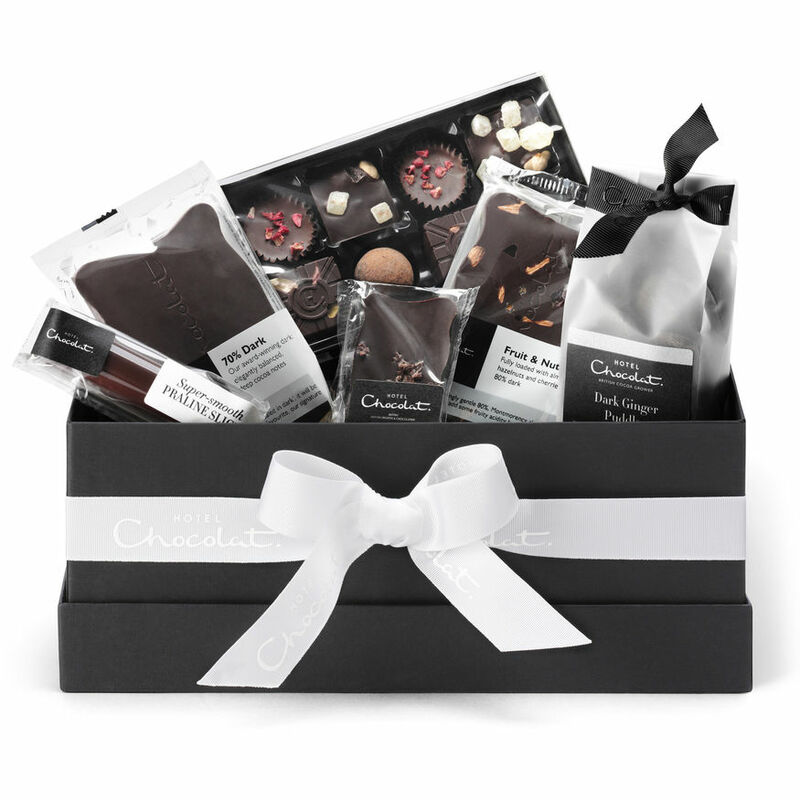 The box includes 16 mouth-watering truffles in a variety of flavours including Blond Chocolate, Raspberry, Strawberry, Beetroot, ‘Milky’, Creamy Chocolate and Dark Chocolate. Long Time Love Vegan Chocolate Truffles are available to purchase from The Functional Food Company at www.functionalfoodcompany.org. RRP £13. 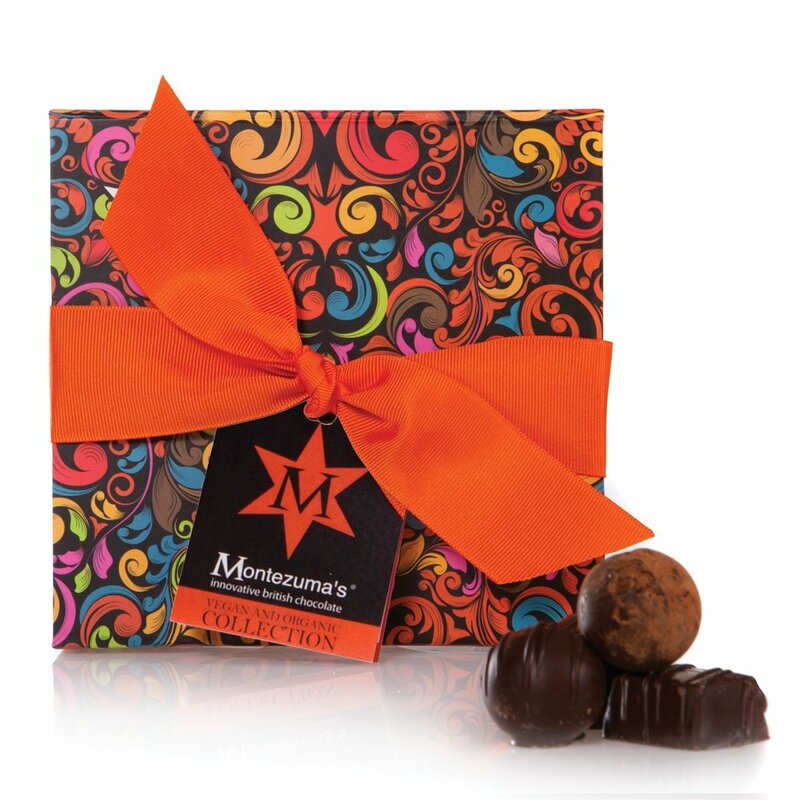 These scrumptious pralines feature a rich dark chocolate shell made using the finest single origin beans in the Dominican Republic and coated in a crisp layer of crystalised sugar enveloped around a deliciously roasted hazelnut praline. Utterly irresistible! 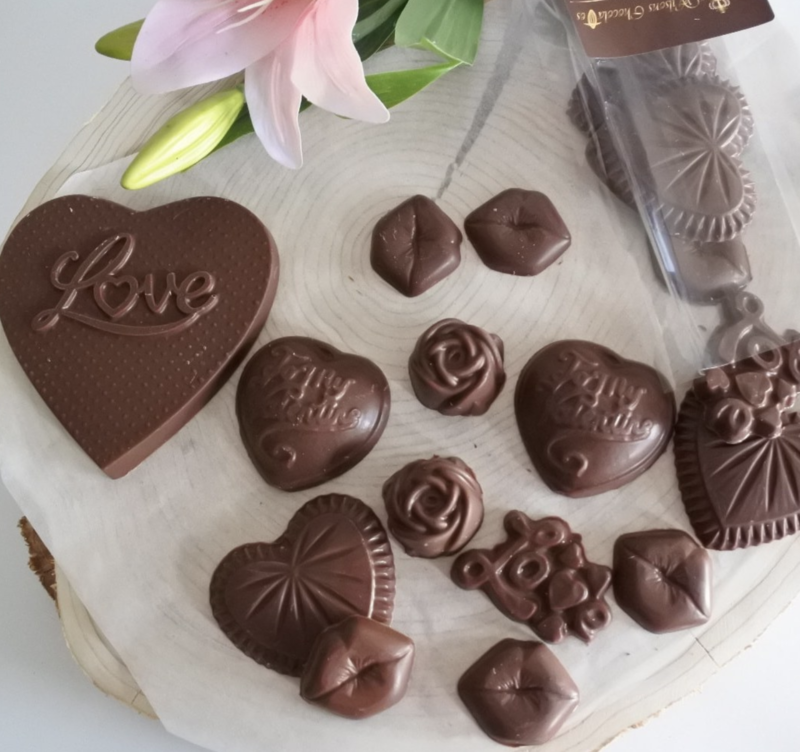 This special Valentine’s Day selection of Bianca Marton’s luxury Vegan chocolates contains a selection of handmade chocs made using natural, high-quality ingredients to ensure each bite is a moment of bliss. 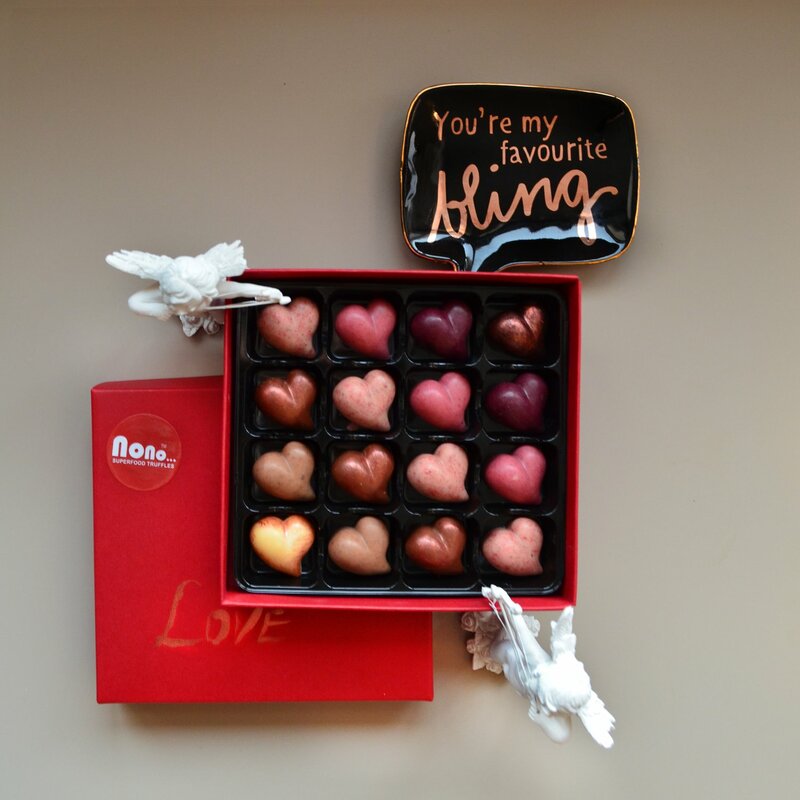 The box is filled Champagne truffles in special heart-shaped shells, Raspberry Truffles, Vodka-Cherry Truffles and Sea-salted Caramel Truffles packed in a beautiful red Valentine’s gift box. Free From Queen’s melt-in-the-mouth chocolate caramels are made from rice milk to give a smooth and milky texture, and are completely free from casein, wheat, soya and GM ingredients. 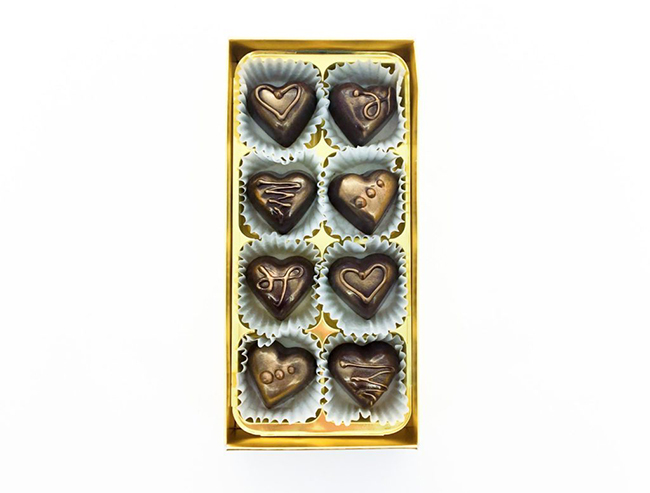 These Valentines Vegan Chocolates come in Dark and Rice Milk Chocolate flavours, and are perfect for sharing. Surprise your loved ones this Valentine’s Day with a selection of handmade, luxury chocolates brought to you by Kennard’s Artisan Chocolates. These stunning gold lustre chocolates come in four delicious flavours: Strawberry Fondant, Peanut Butter Truffle, Smooth Caramel, Mixed Nut Praline. Valentines Hearts by Kennard’s Artisan Chocolates are available to purchase from www.kennardschocolates.com. RRP £10. 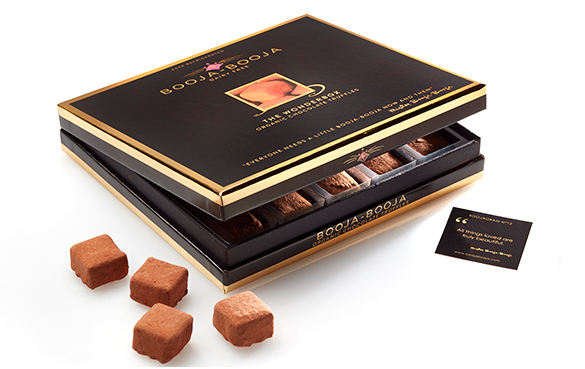 Booja-Booja Gourmet Selection Truffles Box is a deliciously diverse selection of 20 dark chocolate truffles in five different flavours, including Honeycomb Caramel, Rhubarb & Vanilla Fool and Toffee Strudel. Each one has its own abundant character that invites you to sit down, relax and enjoy. These extraordinarily scrumptious, wholesome treats are made using carefully chosen organic ingredients from the four corners of earth, and have won an impressive 30 awards to date. Booja Booja ‘The Wonderbox’ is available from these stockists. RRP 237g from £16.99. Chocolate Handcuffs by Schokolat are available to purchase from www.schokolat.co.uk. RRP £15.95. A brilliant little gitft for that vegan valentine in your life! These vegan sweets come in a beautifully presented heart-shaped box and are made with real fruit juices and natural colours. You can also have the box personalised with any name followed by ‘Be My Vegan Valentine’ in Gold Foil Print to add a personal touch. 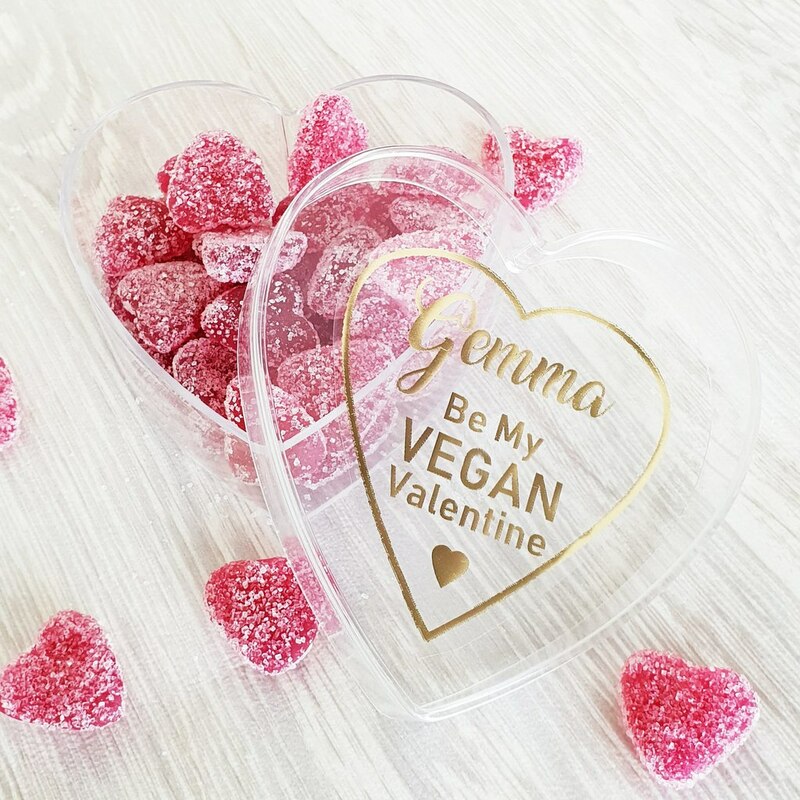 Sweet Lounge Personalised ‘Be My Vegan Valentine’ Vegan Sweets Gift is available to purchase at www.sweetlounge.co.uk. RRP £8.99. Hotel Chocolate ‘The All Dark Collection’ is available to buy here www.hotelchocolate.com. RRP £27.50. Chocolate and booze, can it get much better? 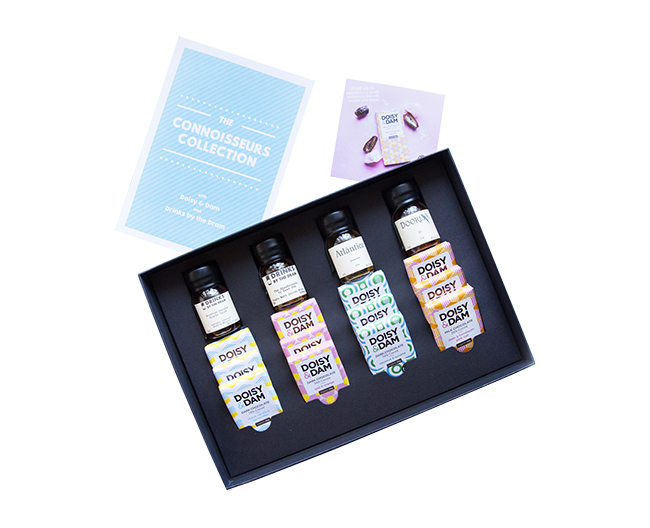 This is the perfect valentines gift for everyone and anyone who loves munching on a bit of choc whilst sipping on a glass of sweet, delicious rum. Doisy & Dam have teamed up with spirit experts Drinks by the Dram to pair their delish choc with their finest whiskies and rums to bring you this awesome chocolate hamper with a twist. It even comes with a tasting booklet to take you through the pairings and give you the low down on how to sound super savvy. Doisy & Dam – The Valentine’s Collection is available to purchase at www.doisyanddam.com. RRP £35. 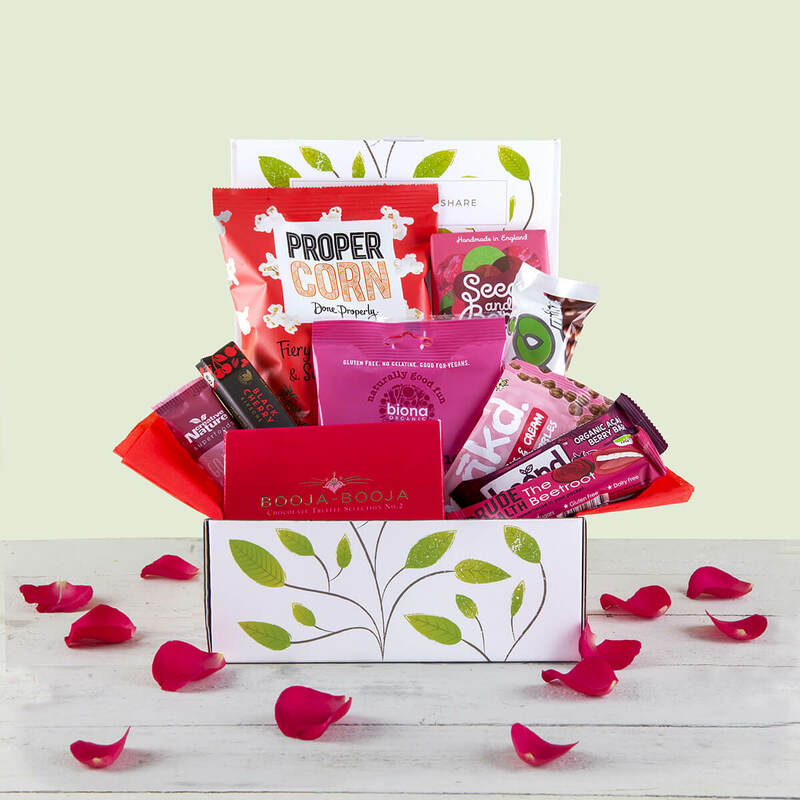 The legendary TVK vegan Valentines selection box is BACK with some old favourites and some brand new yummy vegan goodies to add to the mix. 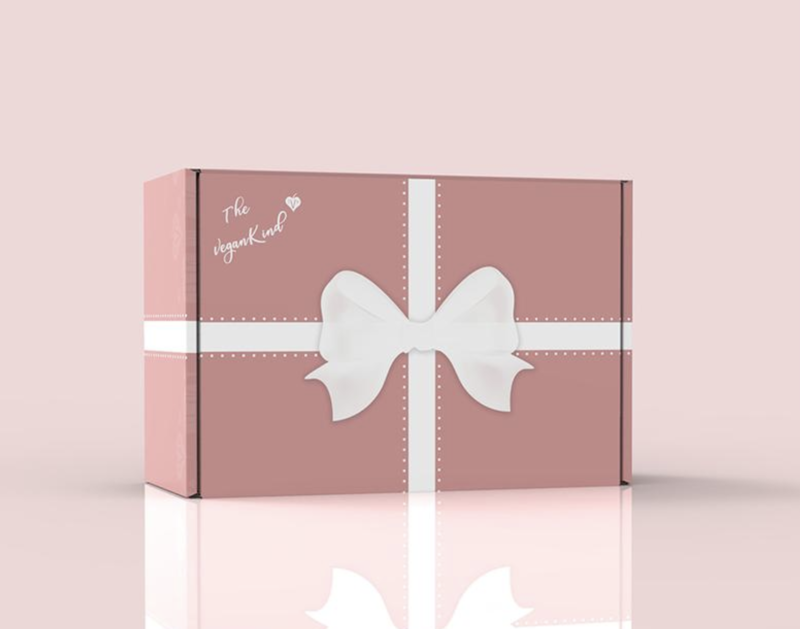 Treat yourself or your loved one to a luxury, indulgent selection of vegan chocolate all popped together in one lovely little box..
TheVeganKind Valentines Gift Box is available to buy here. RRP £14.99.